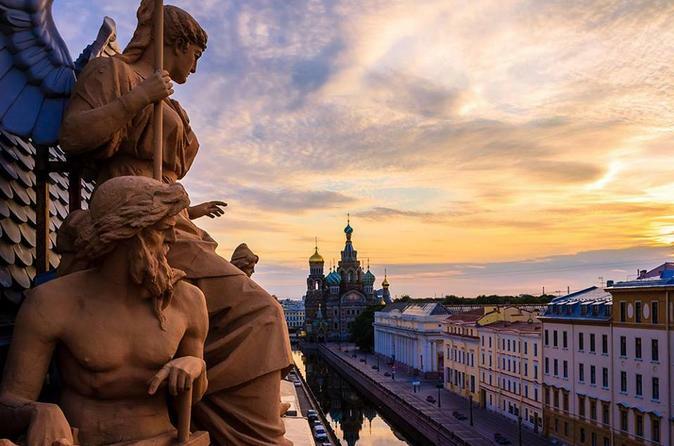 When your cruise visits St Petersburg, discover this beautiful city on a 2-day sightseeing tour by boat. With an expert guide, enjoy a city tour and time at the art-laden Hermitage Museum before sailing to Pushkin to visit the Catherine Palace, a lavish imperial residence famous for its Amber Room. The next day, sail to the fountain-studded Peterhof Park, see other landmarks including the Peter and Paul Fortress, and take a boat trip along St Petersburg’s canals. Numbers are limited for a small-group experience. All entrance fees and transport included.